New York's theatre community is honouring the legendary actor and comedian Robin Williams by lowering the lights for one minute. Broadway is honouring Robin Williams by dimming its marquee lights for one minute on Wednesday night. Williams, who took his life in his San Francisco Bay Area home this week, had been on Broadway several times, most recently as a restless tiger ghost in 2011 in Bengal Tiger at the Baghdad Zoo. The marquees of the Great White Way will be dimmed for one minute Wednesday starting at 7:45 p.m. ET. 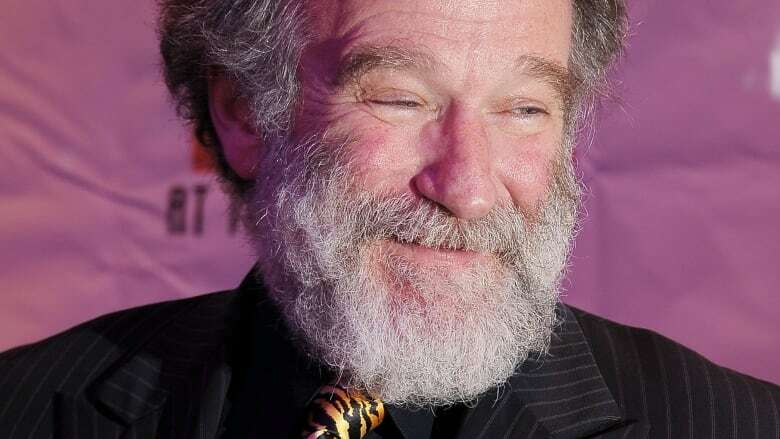 Williams has been on stage with Steve Martin in Mike Nichols's 1988 off-Broadway version of Waiting for Godot and had a run of his own one-man show, Robin Williams: Live on Broadway in 2002. 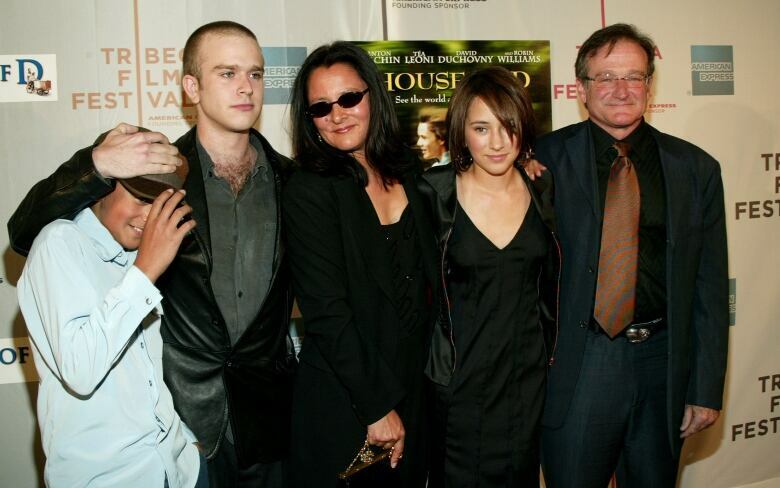 Robin Williams (R) poses with sons Cody and Zak, his second wife Marsha and daughter Zelda at the screening of House Of D during the 2004 Tribeca Film Festival in 2004. (Evan Agostini/Getty Images)The actor's family is remembering the Oscar winner as a "gentle, loving, generous" man who was "always warm." Williams's three adult children have expressed a deep love for their father, who was found hanged in his California home Monday, and disbelief upon hearing the news he had taken his own life. "I'll never, ever understand how he could be loved so deeply and not find it in his heart to stay," said his 25-year-old daughter Zelda. "He was always warm, even in his darkest moments," she noted, adding she last saw her father when he recently celebrated his 63rd birthday. It was a day, Zelda recalled, that she and her two brothers spent "sharing gifts and laughter" with their father. Williams with his only daughter Zelda, 25, at a movie premier in 2009. (Fred Prouser/Reuters)"Dad was, is and always will be one of the kindest, most generous, gentlest souls I’ve ever known, and while there are few things I know for certain right now, one of them is that not just my world, but the entire world is forever a little darker, less colorful and less full of laughter in his absence," Zelda wrote in a statement issued Tuesday. In an emotional post just two weeks before his death, the actor sent a heartwarming message to his only daughter for her 25th birthday that included an old snapshot of the pair in happier times. 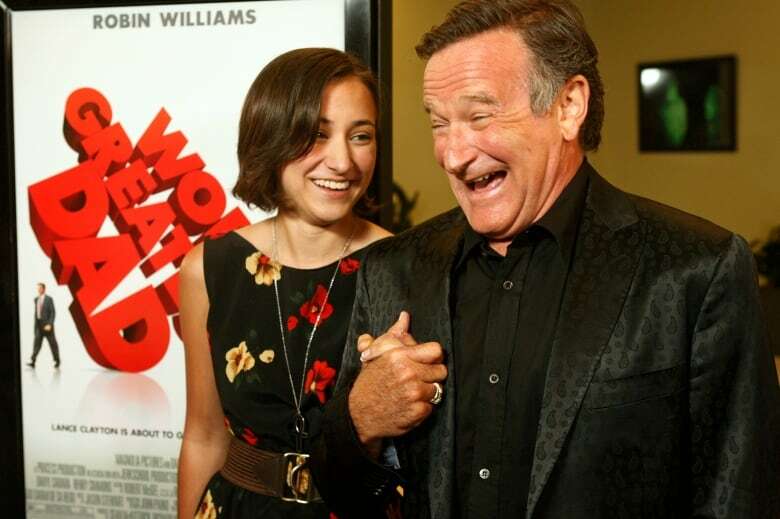 In the accompanying caption, Williams wrote, "Happy Birthday to Ms. Zelda Rae Williams! Quarter of a century old today but always my baby girl." Williams's eldest son from his first of three marriages, Zachary Pym “Zak” Williams, 31, said he lost "a best friend" and "the world got a little grayer." "I will carry his heart with me every day. I would ask those that loved him to remember him by being as gentle, kind, and generous as he would be. Seek to bring joy to the world as he sought," Zak wrote. Williams's second wife Marsha Garces, the mother of Zelda and Cody Alan Williams, 22, released a statement of her own Tuesday, saying "my arms are wrapped around our children as we attempt to grapple with celebrating the man we love, while dealing with this immeasurable loss." "My heart is split wide open and scattered over the planet with all of you. Please remember the gentle, loving, generous – and yes, brilliant and funny – man that was Robin Williams," Garces wrote. Cody, who is himself an assistant director working in Hollywood, said Tuesday, "I will miss him and take him with me everywhere I go for the rest of my life, and will look forward, forever, to the moment when I get to see him again." Lt. Boyd confirmed that the actor, who had been open about his struggles with addiction, was being treated for depression at the time of his death. Toxicology tests are being conducted to determine if Williams was under the influence of drugs or alcohol at the time. Results won’t be available for two to six weeks.